By 2015 half of the female population of the United States will be post-menopausal. But this group of post-menopausal women won't be old fuddy-duddies with broken hips, heart attacks, and failing memories. Women of today expect to emerge from menopause energetic, zesty, and passionate! Are hormones necessary? No! Wise women nourish their hearts, bones, and spirits with simple, safe mineral-rich herbs. The secret to keeping your bones flexible, your spirits high, your sleep deep, and your elder years free of chronic problems is not complicated. It doesn't require a vast knowledge of herbs. It can be summed up in a single word: minerals. Minerals are critical building blocks needed for optimum functioning of the nervous system, the immune system, and all muscles -- including the heart. The production of hormones also requires large amounts of minerals. During menopause 30 to 60 times more hormones are produced than at any other time of a woman's life. If the diet is not mineral-rich the deficit is drawn out of women's bones. Herbs, especially the weedy ones, are minerals powerhouses. Getting those minerals isn't as easy as taking a tincture (alcohol extracts little to no minerals) or swallowing a pill (minerals are poorly utilized from encapsulated herbs) but it isn't difficult either. At the Wise Woman Center we include mineral-rich herbs in our daily diet; it's easy, tasty, and very rewarding. How do we do it? 1) Drink 1-2 cups nourishing herbal infusion each day. 2) Eat wild plants in salad. 3) Dress salads with olive oil, tamari, and 1-2 tablespoons of a tonifying herbal vinegar. Herbal infusions differ from herbal teas: They are darker in color and richer tasting because their long brewing extracts many more nutrients -- especially minerals. My favorite nourishing herbal infusions for menopausal women are oatstraw, red clover blossoms, stinging nettle leaves, and comfrey leaves. Red clover (Trifolium pratense) infusion not only builds bones, and prevents cancer, it reduces serum cholesterol (protecting heart health) and helps maintain strong pelvic tissues --thus preventing incontinence, lowered libido, atrophic vaginitis, and uterine prolapse. Red clover contains ten times more phytoestrogens than soy, without soy's bone-damaging, thyroid-impairing side-effects . Eating a few wild leaves in my salads helps keep me connected to the earth even when I'm in the city. (I figure the pollution on the plants is the same stuff I'm breathing!) Wild foods nourish the wild woman within and help me remember that Mother Nature does, indeed, provide. The two similiar tasting but unrelated sour grasses -- sheep sorrel (Rumex acetosella) and wood sorrel (Oxalis) -- are vitamin C rich additions to salads found under trees and shrubs. Spicy cresses -- such as wintercress (Barbarea vulgaris), cowcress (Lepidium campestre), and garlic mustard (Allaria officinalis) -- are common weeds throughout much of the world and renowned as cancer preventatives. And, of course, the seaweeds, added to salads either fresh or dried. Some of my favorites include hijiki/ celery/shitake salad and seapalm fronds soaked, sliced and tossed with salad greens. Tonifying herbs add specific effects to their mineral-rich properties. Fresh leaves of any mint (including motherwort, rosemary, lavender, thyme, sage, lemon balm, and bergamot) are excellent tonics. So are dandelion, burdock, and yellow dock roots. And everyone lives near my favorite tonic: the herb I call cronewort -- in honor of the visionary powers of old women. Dandelion (Taraxacum officinalis) is a powerful ally for the menopausal woman who suffers from endless hot flashes. All parts of the herb -- leaves, roots, and flowers -- can be used to strengthen the liver, aid digestion, and cool off those volcanic flashes. Dandelion also helps promote healthy breasts and clear skin. It's rich in bone-building minerals and contains enormous amounts of cancer-preventing carotenes (14,000 units of pro-vitamin A in 100 grams of leaves). Yellow dock (Rumex crispus and other species) roots are intensely bitter, suggesting moderation. The vinegar is delicious as a condiment with beans and cooked greens. Both tincture and vinegar encourage the blood to utilize more iron, important for the menopausal woman who's bothered by flooding or fibroids. Cronewort/mugwort (Artemisia vulgaris) is an ideal tonic for older women: It strengthens the cardiovascular, urinary, and nervous systems. Mineral-rich cronewort builds steady nerves as it relaxes. As with all Artemisias, cronewort has visionary properties and can be used to help us see menopause differently: More than the end of physical fertility, menopause is also the beginning of one of the most creative, productive times of a woman's life. 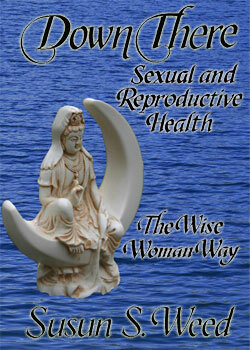 To learn more, read: Menopausal Years the Wise Woman Way, Alternative Approaches for Women 30-90 by Susun Weed. Available from Amazon. com or call 1-800-356-9315. 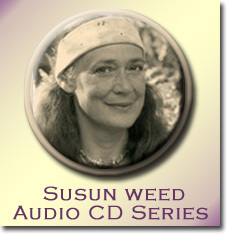 Susun S. Weed is the author of four highly-acclaimed books on women's health: Healing Wise; Wise Woman Herbal for the Childbearing Year; Menopausal Years the Wise Woman Way; and Breast Cancer? Breast Health! the Wise Woman Way. 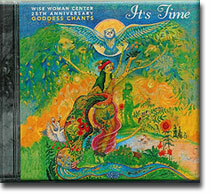 Founder of the Wise Woman Center, she alsoadvises the California Institute of Integral Studies and the Pottenger Foundation for Wise Traditions. 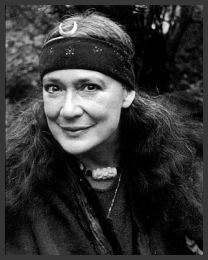 Her work has inspired millions of women world-wide to respect their inner wisdom and to trust the healing power of common weeds, simple ceremony, and compassionate listening. Susun is a Peace Elder and a member of the Wolf Clan.